Once called “the most intriguing African-American Buddhist” by Library Journal, and “one of our wisest voices on social evolution” by Krista Tippett, Rev. angel Kyodo williams Sensei, is an author, maverick spiritual teacher, master trainer and founder of Center for Transformative Change. She has been bridging the worlds of personal transformation and justice since the publication of her critically-acclaimed book, Being Black: Zen and the Art of Living With Fearlessness and Grace. Being Black was hailed as “an act of love” by Pulitzer Prize winner Alice Walker and “a classic” by Buddhist teacher Jack Kornfield. Her new co-authored book, Radical Dharma: Talking Race, Love & Liberation, is a powerful wake-up journey that is igniting communities — activist, Buddhist and beyond — to have the conversations necessary to become more awake and aware of what hinders liberation of self and society. 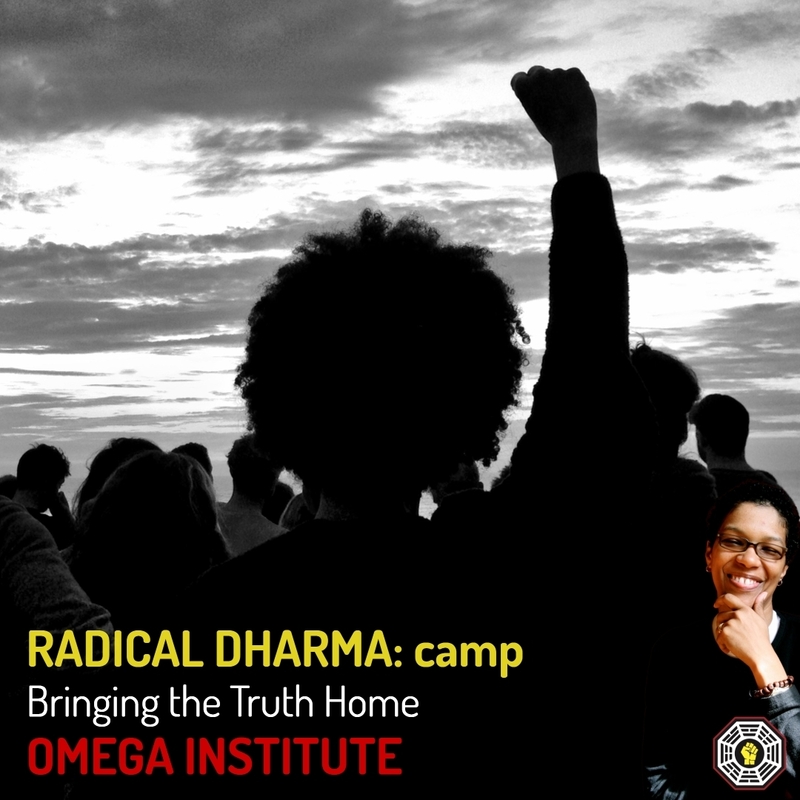 The Radical Dharma events that have emerged from the book: Connections, Circles and Conversations, have initiated profound healing and deepened commitment to dismantling oppression across lines of race, class, gender, sexual orientation and other divides. Ordained as a Zen priest, she is a Sensei, only the second black woman recognized as a teacher in the Japanese Zen lineage. She is a social visionary that applies wisdom teachings and embodied practice to intractable social issues at the intersections where race, climate, and economic justice meet. She coined the name for the field of Transformative Social Change and sees it as America’s next great movement. In recognition of her work, Rev. angel received the first Creating Enlightened Society Award from the international Shambhala Community. For over 20 years, she has been putting into practice her unwavering belief that the key to transforming society is transforming our inner lives. She has developed comprehensive systems for illuminating both practical personal change and the profoundly liberating potential of mindfulness meditation, yoga, and somatic practices coupled with wisdom teachings. Calling for a paradigm shift that “changes the way change is done,” Rev. angel envisions the building of a presence-centered social justice movement as the foundation for personal freedom, a just society and the healing of divisions of race, class, faith and politic. Both fierce and grounded, she is known for her unflinching willingness to both sit with and speak uncomfortable truths with love. 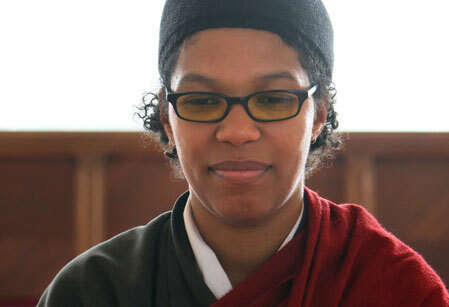 Her work has been widely covered, including in the New York Times, Boston Globe, Ms., Essence and Buddhadharma. angel notes, “Love and justice are not two. Without inner change, there can be no outer change. Without collective change, no change matters.” Whether in writing, teaching or speaking, her voice is unique. She was made for these times.